Has this ever happened to you? You have a dream and something stands out -- perhaps something you see, perhaps something you do. Then you try to find what it means, but nothing makes sense. I know this has happened to me many times in the past. 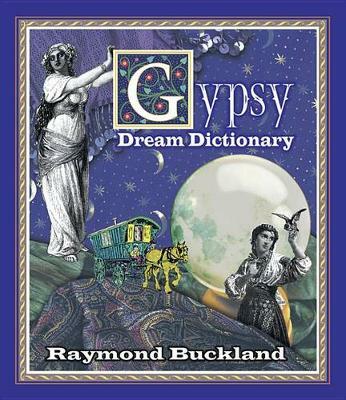 But that was before Gypsy Dream Dictionary (an expanded version of Secrets of Gypsy Dream Reading) by Ray Buckland. Now I just consult the book and almost always find that one or more of the definition for over 850 universal dream symbols clarifies my dream. And you can use this wonderful resource, too! If you dream of meeting a grandparent, that means you will come into a legacy. If you dream of meeting a dwarf, that means great danger lies ahead. If you dance around a Maypole in your dream, it is a sure sign that you are in love. To dream of a palm tree means your work will be recognized. Did you dream of a palace? Your standard of living is going to improve. Are you a tailor in your dream? That means you have little time to enjoy yourself. The book is really far more than just a dictionary of dream symbolism. It also gives great information about dreaming and what you can get out of it. You will learn how dreams can bring you prophecy and can point the way to making money. You'll see how to develop the skill known as lucid dreaming: the ability to know you are dreaming while you are dreaming. You'll also be shown how dreaming can lead to astral projection. All in all, this is one of the most outstanding books on dreams available. So if you are just starting to dabble in dream interpretation, or if you want to add to what you already know, this book is a must!